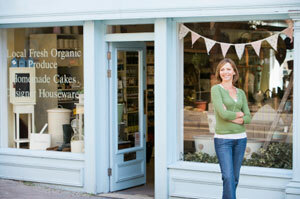 Small business accounting can consume days and weeks of a business owner’s valuable time. If you own a small business in the Tampa, Florida area, Reliance Consulting, LLC is committed to saving you time and money by providing you with a comprehensive assortment of small business accounting services so that you can spend your time on more lucrative activities. Since you, as a business owner, want to be focused on your products, services, and profits, let your CPA and accountant at Reliance Consulting put together a customized small business accounting package that will keep your payroll, tax returns, and bank accounts running smoothly. The primary goal at Reliance Consulting is to offer you small business accounting services that deliver extraordinary value to your company. This goal means that our services will more than pay for themselves in the time they save you and your employees, as well as possible savings in taxes owed. Since 1984, our CPAs and accountants have been helping small businesses throughout the area grow and prosper—from Tampa to Lakeland, St Petersburg to Sarasota, and beyond—and we would like to assist you, too. To learn more about our small business accounting services for the greater Tampa, FL area, please contact Reliance Consulting, LLC today for a free, no obligation “check up” of your business or individual financial health.